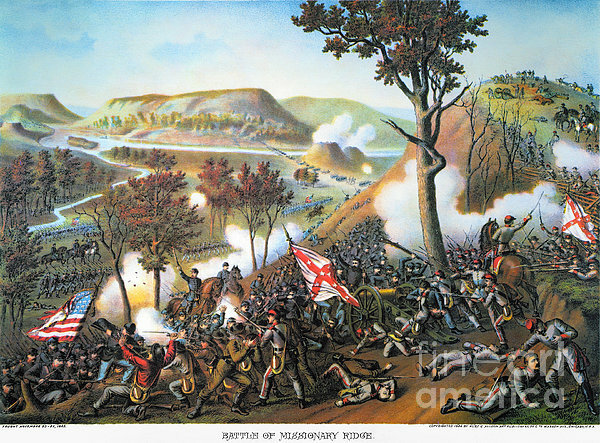 There are no comments for Battle Of Missionary Ridge. Click here to post the first comment. 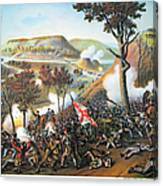 BATTLE OF MISSIONARY RIDGE. 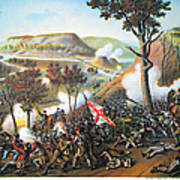 The Battle of Missionary Ridge during the American Civil War, 24-25 November 1863. 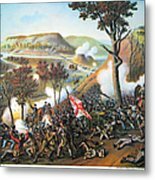 Lithograph, 1886, by Kurz & Allison.